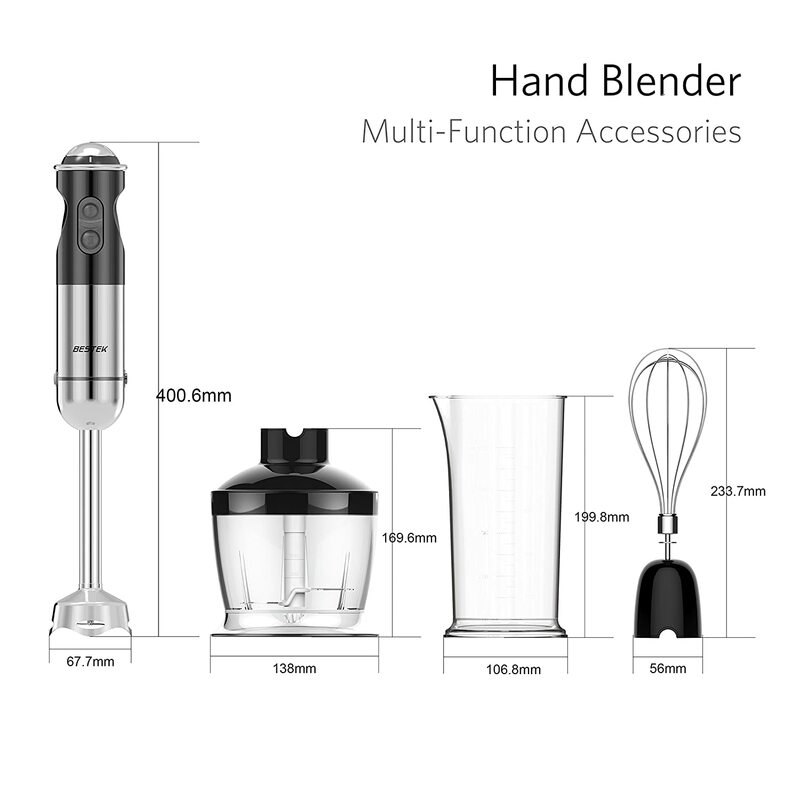 Today I am going to review a tool that everyone should have in their kitchen which is a 4 in one Imersion Blender from a company called Bestek established officially in 2007, the predecessor of Shenzhen MaoRun Electric Co., Ltd. BESTEK products include automotive accessories, household appliances and electronic products. BESTEK brand has gained a good reputation all over the world. 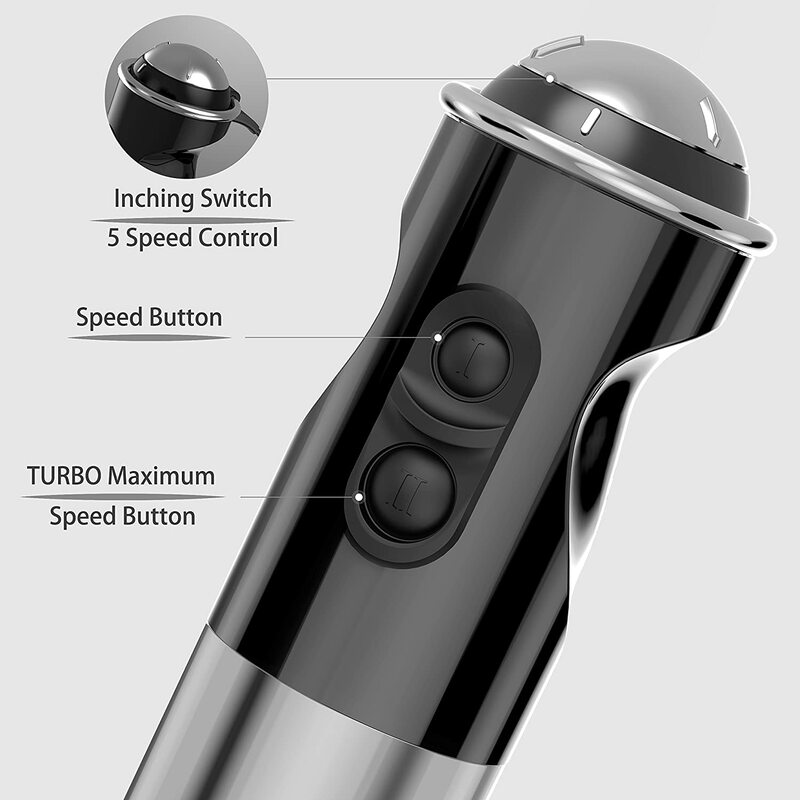 Many BESTEK products were ranked BEST SELLER on Amazon for a long time and monthly selling volume over tens of thousands. As a fast developing international Group company, BESTEK has three overseas subsidiaries (US/UK/JP) and six subsidiaries in China mainland. 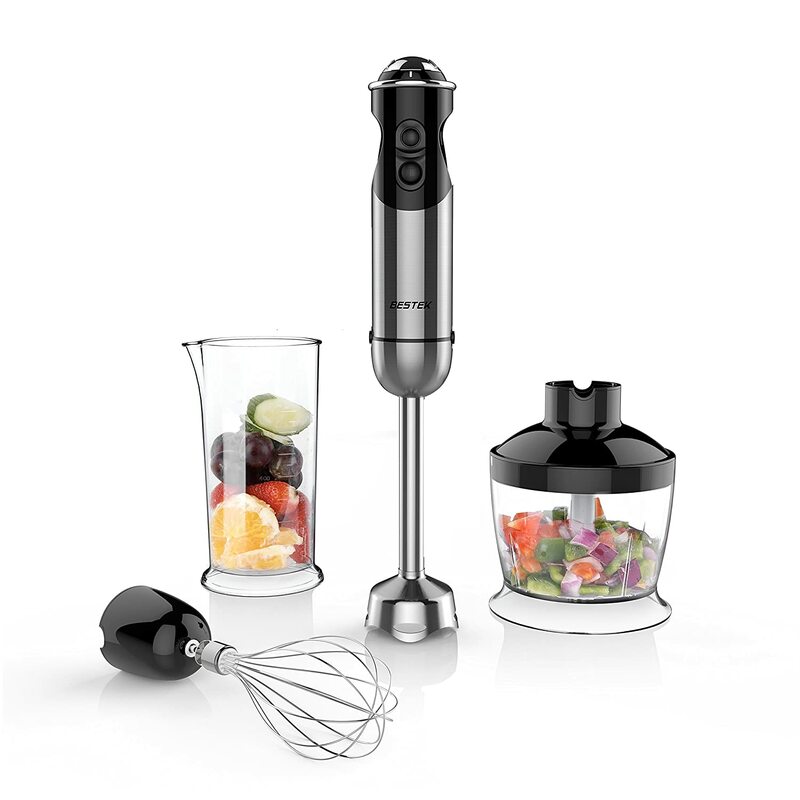 This Imersion blender costs $29.99 USD but right now as I write this post with their Special Group Buy you can get this for only $0.01 and it comes with Free shipping if brought on Amazon with Prime or with the group buy I mentioned, so that’s all you will pay. So not bad for the price but how does it perform? That’s what this review intends to show you, so read on…. 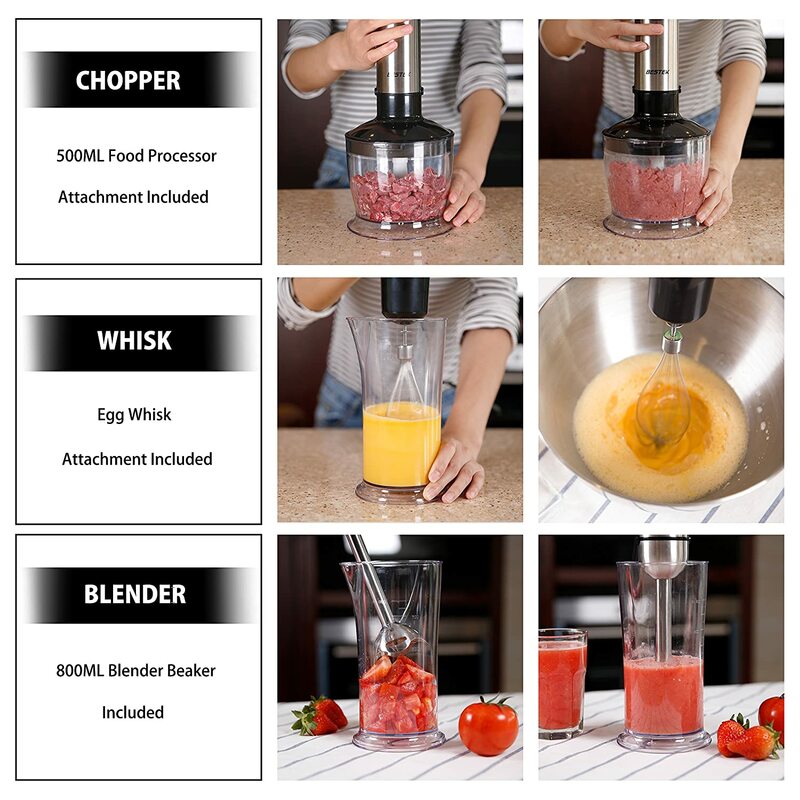 I like cooking alot but one thing I enjoy more is not having to use or clean lots of dishes so when it comes to using a food processor and a blender as two separate products for something like Thanksgiving I can’t stand it so I learned of these 4 in one Imersion blenders this one I am talking about is from Bestek which offers them in 2 and 5 speed mine is a 5 speed. 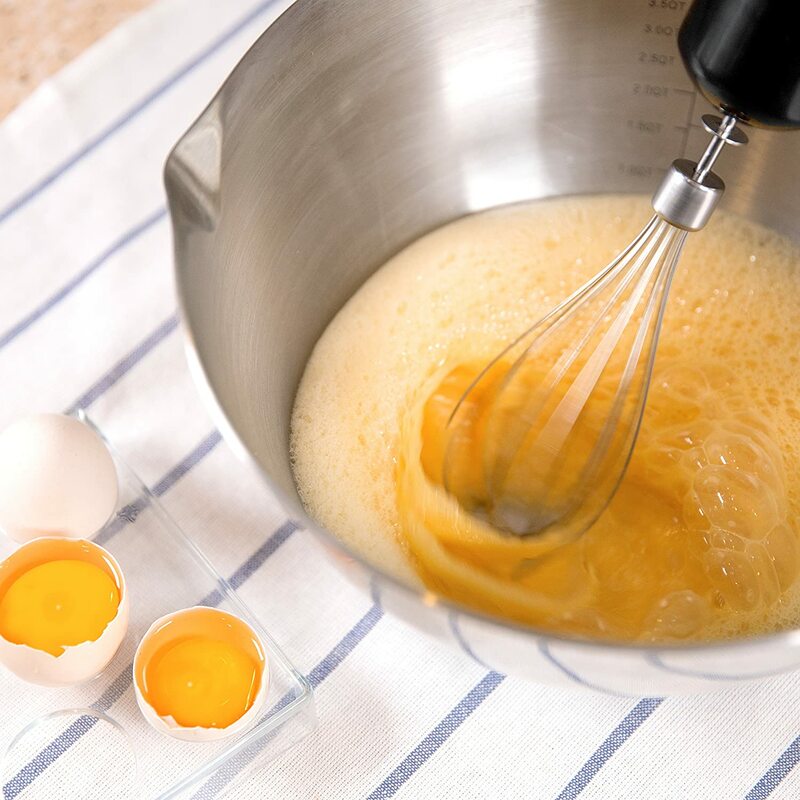 Over the years I’ve used one plastic hand blender didn’t really like this as the blender head couldn’t be removed and washed I also HATED washing my food processor which was a pain to wash.